SUPERMETRICS USER CASE · 5-MINUTE READ · By Sam Martin-Ross on January 16 2017. Over at Digital Uncut we use Supermetrics to streamline our internal processes, this frees up time to focus on more important and interesting aspects of our clients’ accounts.This means we can provide a level of service, account management and analysis beyond many larger (and more expensive) agencies. As a small and growing PPC & SEO agency, staying on top of accounts and continually improving ROI can easily eat up a lot of our already limited time.Without efficient account management processes, simply staying on top of our accounts would mean significantly less time for strategizing, client contact and long term planning.That would impact both the results we can deliver for clients, and the growth of our agency. Supermetrics allows us to pull data from multiple sources such as; Adwords, SEM Rush, Bing & Facebook into a single view. This provides benefits across all aspects of our business such as; client account performance, reporting, in depth analysis, and opportunity finding. Using data validation to create dropdowns we can easily flick through every clients’ spend and see how this is tracking against expected daily spend. Having such a view enables us to quickly and constantly monitor spend across all accounts, ensuring all clients do not overspend, and bringing our attention to when there are opportunities to increase marketing reach while staying in budget. The set up using Supermetrics for these graphs is easy if you know your way around Excel, and if not, there are a whole range of reporting & managing templates available.We are quite comfortable with Excel and so have developed further automations to save time and help us improve our clients’ accounts even further. While we monitor performance manually & daily to improve accounts’ ROI, we have set up a dashboard to automate alerts based on when performance dips below expected to reduce the risk of human error. With this functionality, if someone is away or something slips through the net, we can still instantly identify and fix the issue. 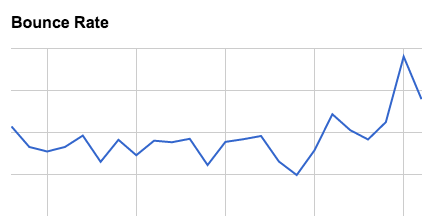 Our client was grateful, not only for the notification of a broken page, but also lack of dip in account performance. Conversely, if performance is better than expected, we are alerted so we can act and try to find ways to make the most of the improved performance. Yes, there is plenty of SEO reporting software available, however a custom report using data pulled in from SEM Rush allows us to show what matters to our clients; results. 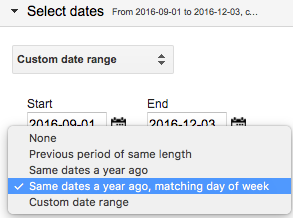 Furthermore, we can easily show accurate year on year data thanks to the clever date selector when building a query. This information is key to showing benefits of SEO work over time. It also allows us to look at overall industry trends and seasonality that may impact account performance – especially in the travel industry! Moreover, Supermetrics allows us to have both PPC & SEO data in a single view for the client, this is useful for establishing the results of our work across different work streams. One key use of this functionality is to display visibility of keywords targeted in both SEO & Adwords, allowing our clients to easily manage their search engine visibility and track our performance. Being able to quickly pull Adwords data from several accounts at once, and filter and segment as required, enables us to regularly and often provide interesting statistics on account performance, that in turn help us improve the account’s performance. For example, one client runs 7 different Adwords accounts each targeting most countries in the world. We wanted to look at how different markets perform overall for the client against a few metrics. Setting up a query and getting the data we needed for this took all of 5 mins, without Supermetrics it could have easily taken an hour. The analysis found useful insights into which markets performed well and which less so, allowing us to quickly make bid adjustments which improved account performance. 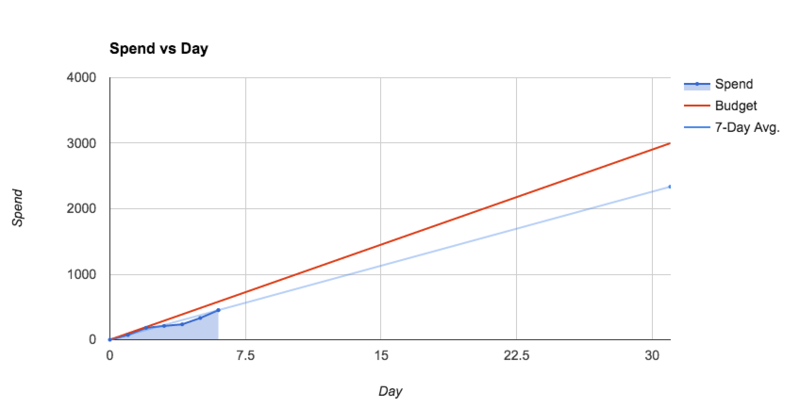 This shows how Supermetrics allows us to perform in depth analysis for all our clients, and most importantly, much more frequently than if we did not have it. As a small yet fast growing PPC & SEO agency, using Supermetrics allows us provide a level of service and analysis clients would expect of a larger (and more expensive) agency. On top of that, with innovative applications of the software, we know our analysis and service can go beyond those agencies. It’s thanks to the software’s flexibility and frequent updates that we can do that. Having worked at Forward3D on accounts such as Ralph Lauren & Tommy Hilfiger, then moving to onefinestay and working on their £4m yearly budget, Sam set up his own agency. He saw a way to provide industry leading, best practice PPC & SEO work and service cost effectively. Sam enjoys seeing the direct impact our work has on his clients, and is constantly looking for ways to make Digital Uncut more efficient so that it can continually provide better service and results.